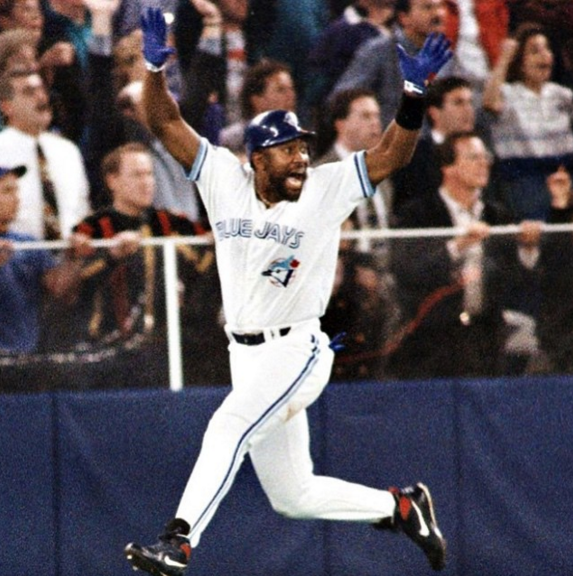 The "Back to Back" cover art has a story of its own (Instagram/@champagnepapi). There were plenty of exciting celebrity feuds in 2015, but one was more career-impacting than any other. Of course, we mean the feud between Drake and Meek Mill. The feud proved how quickly hip hop artists can gain or lose support from fans. It took a matter of days, in this case, for Drake to earn greater respect and for Meek Mill to become the laughingstock of rap (and the Internet). Rapper OG Maco backed Meek and said that one of Drake’s collaborators, Quentin Miller, writes Drake’s raps. Quentin Miller has vehemently denied these allegations, and another frequent Drake collaborator, Noah “40” Shebib, also stepped up to Drake. It turned out that Drake did not need any friends to back him because his diss tracks were all he needed to silence Meek. Drake quickly responded to Meek’s accusations with “Charged Up” and “Back to Back.” The former included lyrics like “Done doing favors for people ‘cause it ain't like I need the money I make off a feature,” while the latter addressed Meek more directly with the infamous “Is that a world tour or your girl’s tour?” line that referenced Meek living in his girlfriend Nicki Minaj's shadow. Even worse -- the artwork for "Back to Back" (pictured here) features a subtle diss of its own. During the 1993 World Series, the Toronto Blue Jays squared off against the Philadelphia Phillies. Drake happens to live in Toronto and Meek is from Philadelphia. Joe Carter, the man captured in the shot, hits a game-winning home run and the Blue Jays snag the victory. The Internet quickly realized Drake's sly move and congratulated him for it. Meek responded with “Wanna Know,” a diss track that was pretty much universally panned. It was clear that Drake had won this feud. The real surprise, though, was the extent to which Drake won -- and Meek lost. Meek met severe backlash after “Wanna Know” from fans, publications and even self-promoting fast food chains like Whataburger and White Castle. Everyone took part in ridiculing Meek, which gave the impression that Meek Mill’s career is dead. Meanwhile, Drake’s career has continued to prosper. His joint mixtape with rapper Future, “What a Time to be Alive,” hit number one on the Billboard 200 and includes the hit single “Jumpman.” In addition, Drake’s recent single “Hotline Bling” is one of his biggest hits to date, and its video has been inescapable for months. Most stinging to Meek Mill, however, is that “Back to Black” is now a Grammy-nominated song in the Best Rap Performance category, making it the first diss track ever nominated for a Grammy. It’s undeniable that Drake’s career has grown since his feud with Meek and that it will only continue to grow. The real question is: Is Meek Mill’s career really dead? In my opinion, the answer is no. Although his career has never reached Drake’s level of success, Meek has had a successful career in his own right. He has two Gold certified albums, including “Dreams Worth More Than Money,” and numerous hits on the Billboard Hot 100. In fact, his highest-charting song, “All Eyes on You,” featuring Nicki Minaj and Chris Brown, hit its peak after Meek’s feud with Drake, so it is even possible to argue that the feud has helped Meek’s career. Speaking of Nicki Minaj, her relationship with Meek will surely help Meek’s career going forward. With a little help from his girlfriend, who is no stranger to hit singles and selling records, Meek should be able to maintain his success. I doubt that Meek will ever be as successful as Drake, but he likely would not have been even if the beef had not occurred. Drake has had much greater commercial success and universal appeal than Meek has for years; the feud’s outcome simply cemented Drake’s superstar status and reinforced Meek’s inferiority in the music industry. While some think that the feud may have proven Meek’s inadequacy to a career-killing extent, I think Meek will be able to bounce back from his blunders. One could argue that even if his feud with Drake didn't kill his career, his potential future jail sentence will. However, Meek's career has survived jail time before. Surely it can survive again, especially with Nicki Minaj by his side. My advice: Don’t count Meek Mill out just yet. Reach Staff Reporter Dustin Sloane here.